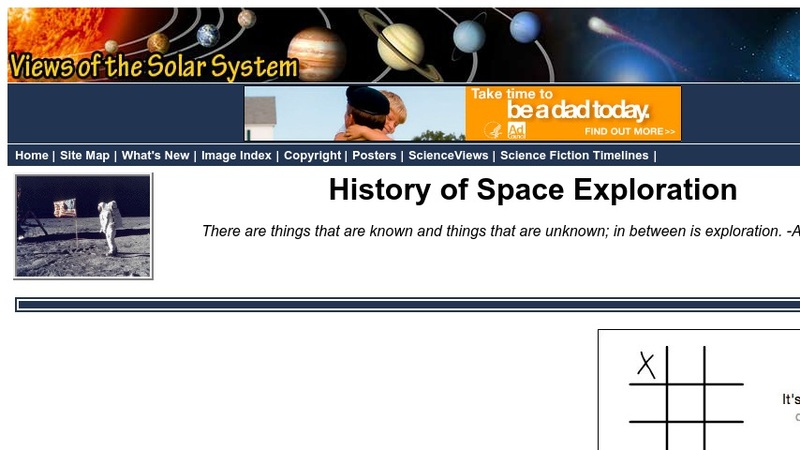 Users can choose from an extensive selection of links to resources for use in the study of the history of space exploration. The links provide access to historic information and publications, chronologies, and mission summaries for American, Russian, European, and other space missions. For educators, there are links to guides to robotic spacecraft and to observing the space shuttle in orbit. Links are also provided to a variety of spacecraft homepages and to other topics such as a primer on the basics of space flight, the Apollo lunar surface journals, and the NASA historic archives.